Destiny H. is 6 years old and lives in Jefferson, Iowa. She was diagnosed with epilepsy and chiari malformation. Chiari malformations are structural defects in the cerebellum that control balance. Normally the cerebellum and parts of the brain stem sit in an indented space at the lower rear of the skull, above the foramen magnum. When part of the cerebellum is located below the foramen magnum, it is called a chiari malformation. The only treatment is brain surgery. Epilepsy is a neurological disorder marked by sudden recurrent episodes of sensory disturbance, loss of consciousness, or convulsions, associated with abnormal electrical activity in the brain. Destiny is being treated at the University of Iowa children’s hospital for her chiari and is a patient of the St. Paul epilepsy group for her epilepsy. 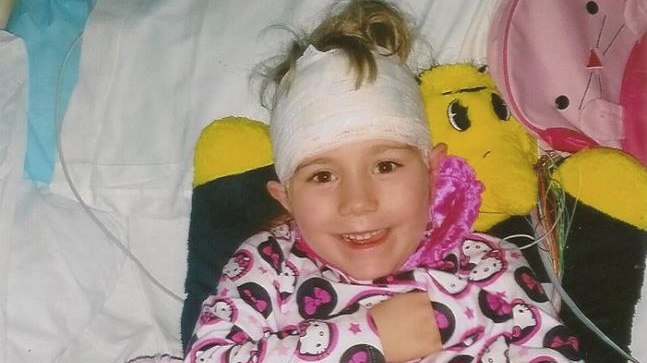 Destiny was diagnosed with chiari and epilepsy a year and a half ago. We make trips back and forth to Minnesota every 3 months for checkups and EEGs. I contacted Miracle Travel Works about our last trip that we took to Minnesota a few weeks ago. Life has been really hard financially ever since Destiny became sick. I resigned at my job to be closer to Destiny. My husband works full time as a construction worker. The trips back and forth have been really hard financially. Without Miracle Travel Works I’m not sure how we would have been able to go to Minnesota to get Destiny’s medical help. We are forever grateful with the help that we received from Miracle Travel Works.